This Thanksgiving season, I am going to be your fairy godmother. 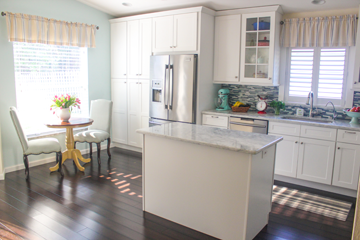 I know what a daunting task it can be to host Thanksgiving in your home. 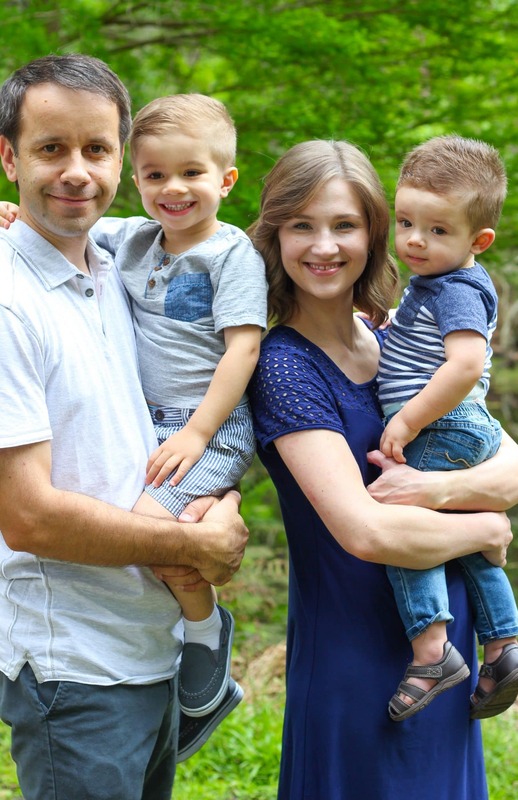 Sergi and I love to have people in our home, so over the years, we have had many, many holidays and parties. I’ve done the practice, made plenty of mistakes, figured out some magic tricks and I’m going to share them with all of you. 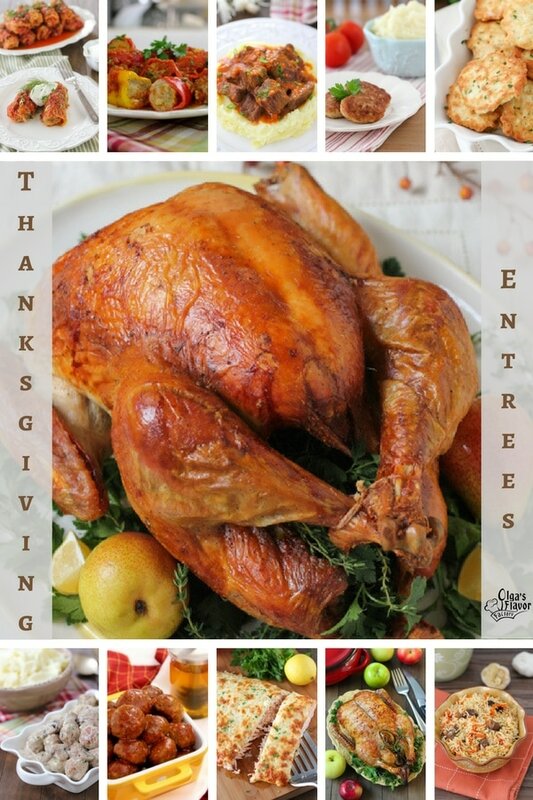 Every day until Thanksgiving, I will give you lots of menu ideas, starting with the entree and ending with dessert. There will even be vegan and vegetarian options. 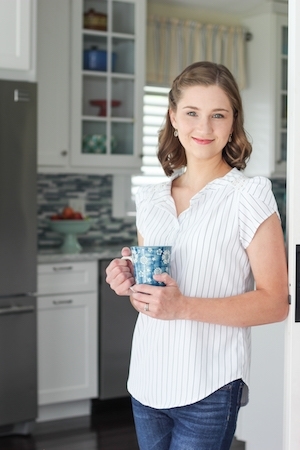 I’ll also share lots of tips and tricks to make your holiday gathering flow smoothly. I want you to feel more confident before and while you are hosting and really proud of yourself when your last guest goes home. Today we are starting with the entree. 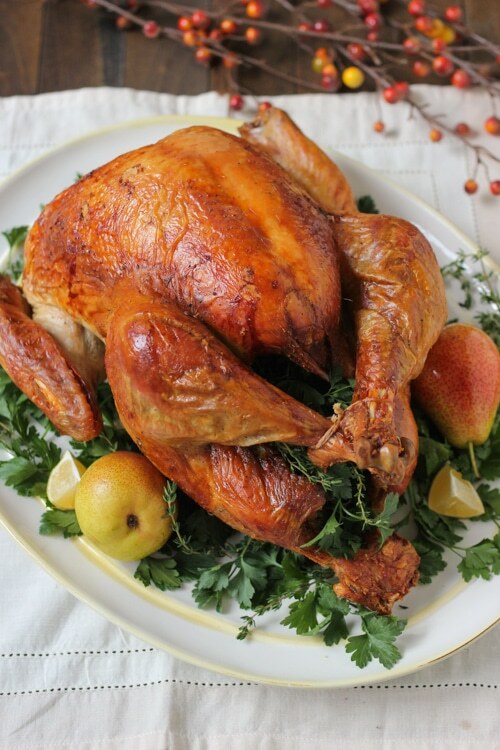 Over the years, I’ve shared all my favorite turkey recipes and I even made a video, so you should be able to have a juicy, golden bird on your table with no practice beforehand since I walk you through step by step with pictures and in the video. I named this turkey this way for a reason, it really is so simple to prepare but you will get phenomenal results. This one is by far and most definitely my favorite. A turkey is such a big bird, that the brine does wonders to it by infusing it with so much flavor and keeping it really juicy all the way through to the center of that huge breast meat. What’s awesome about this turkey recipe, is that you butcher it before you roast it and you won’t have to carve the turkey later. 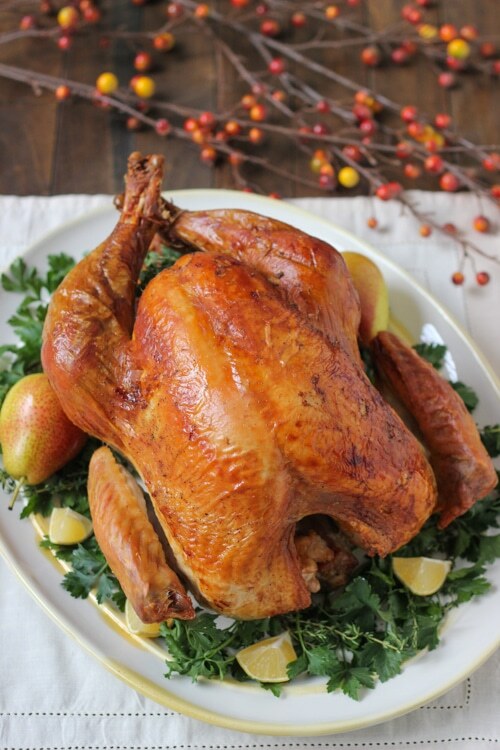 It also takes away a lot of the challenges that roasting a whole turkey can have, such as needing to find room in the refrigerator for a whole turkey and you also don’t need a roasting pan for this recipe. The turkey roasts at a lower temperature than the previous two recipes, but since it’s cut into parts, it doesn’t take longer to cook and is perfectly juicy too. To make things even easier, I made a video showing you every step of roasting a turkey. I hope this will make things even easier for you. 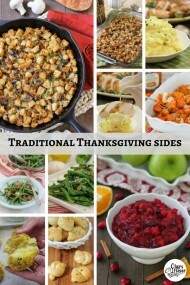 If you want to include another entree on your menu beside the turkey, I have 10 great options for you. My approach to other entrees is to make something that you can make in advance and then simply reheat on Thanksgiving. 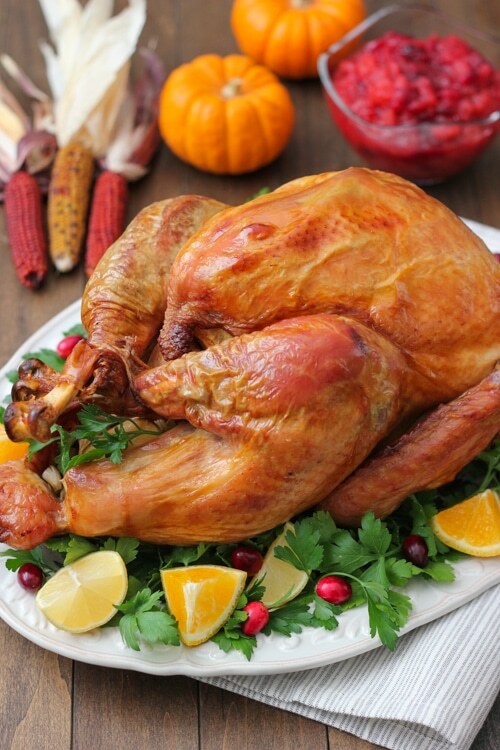 Your oven will be busy making the turkey. Please don’t stress yourself out by trying to make everything on Thanksgiving! Cabbage rolls are so loved by Slavic people. We include them for many holidays and parties. Yes, they do take quite a bit of time to assemble, but like I mentioned earlier, you can make them in advance. They even freeze really well, so you can even make them now, freeze them and then all you have to do is thaw them and reheat. 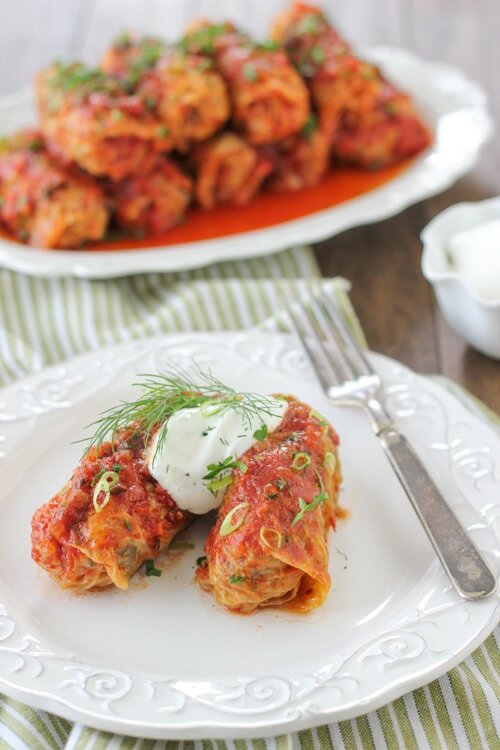 The recipe below is a unique one – Buckwheat and Mushroom Cabbage Rolls, but I also have a traditional Cabbage Rolls recipe on my blog too. 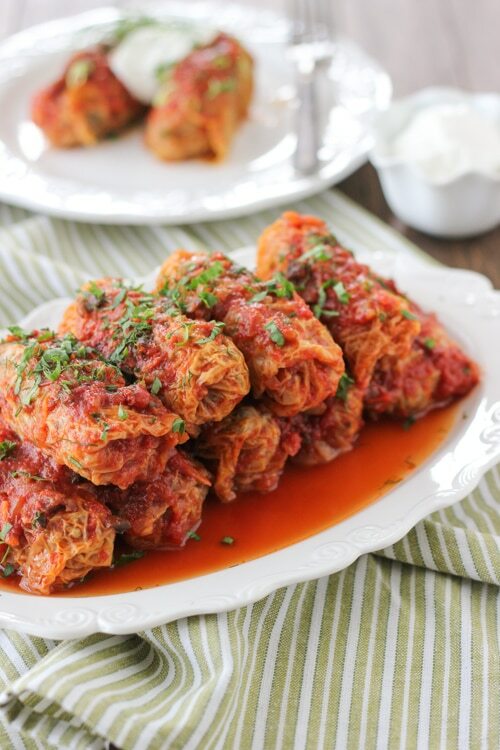 You can make cabbage rolls in the slow cooker or a pressure cooker also. Mini Stuffed Peppers are always a big hit too. 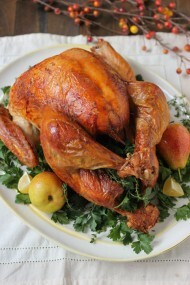 They look so elegant, can be done in advance and give a different flavor profile to the traditional Thanksgiving menu. I have a recipe for regular sized Stuffed Bell Peppers in the Slow Cooker, which is an excellent option since you won’t need to use the oven or stove, which are always in full blown use on Thanksgiving anyway. Juicy, tender beef that melts in your mouth – YUM. Make this 1-2 days in advance, reheat on Thanksgiving. 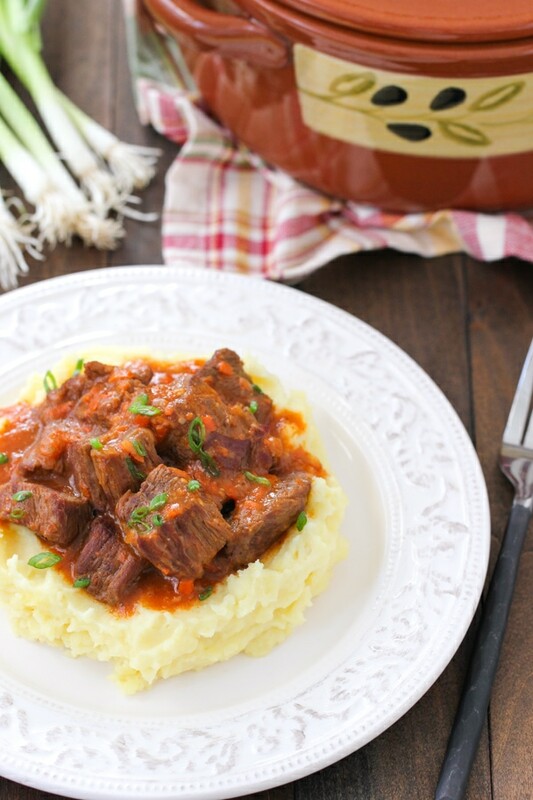 If you make Beef Goulash, you won’t need to make additional gravy, since this will give you something to pour over your fluffy mashed potatoes. Anytime I make these Chicken Kotleti, they are the first to be devoured. They are basically Russian meatballs. Using chicken makes them extra tender and juicy. You can make them in advance as well. My secret to reheating Kotleti is to add a tiny bit of water to a skillet or pot that I am reheating them in. As they are cooking on low heat, the Kotleti will essentially steam and become extra juicy. I also have 2 extra fancy versions (very easy to make though), one with a mushroom filling and another with a Chicken Kiev (herbed garlic and herb) filling. They are both SO good. 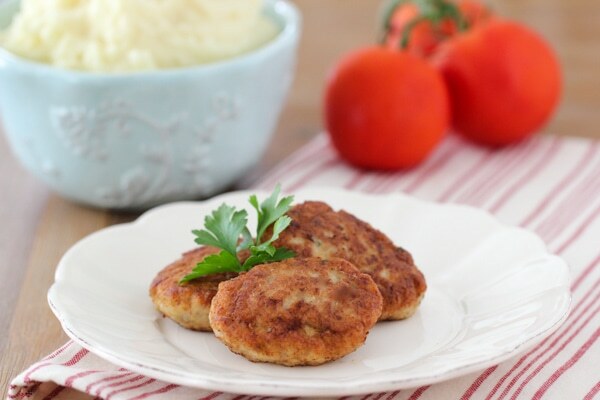 Tender bits of chicken encased in a crisp, flavorful batter – that’s what these Chicken Fritters are. They are really pretty and loved by everyone, even the pickiest eaters. You can even make the chicken batter now, freeze it and then cook it up the day before Thanksgiving, then reheat on Thanksgiving. Otherwise, make the chicken batter 2 days in advance, cook them the day before, reheat on Thanksgiving. Homemade Meatballs are the best! 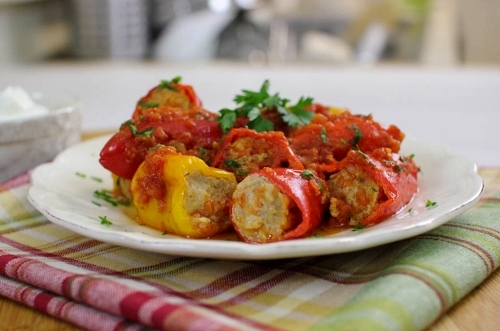 They simply cannot compare to store-bought meatballs. 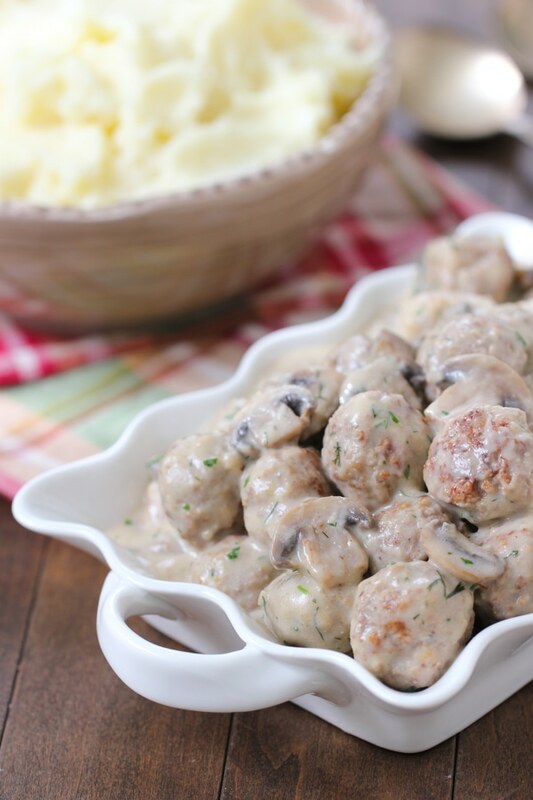 These meatballs come with a creamy mushroom gravy – another plus. 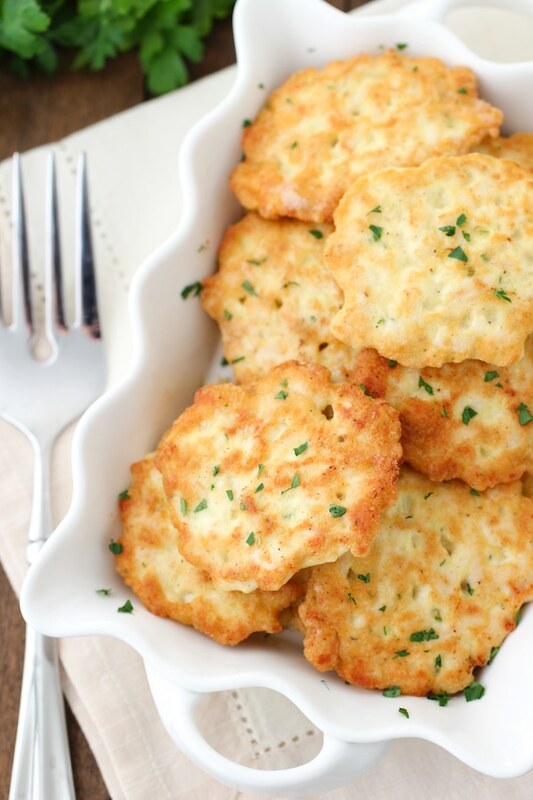 Your mashed potatoes will be happy. You can make the meatballs now too and freeze them, then make the sauce the day before and reheat it all on Thanksgiving. 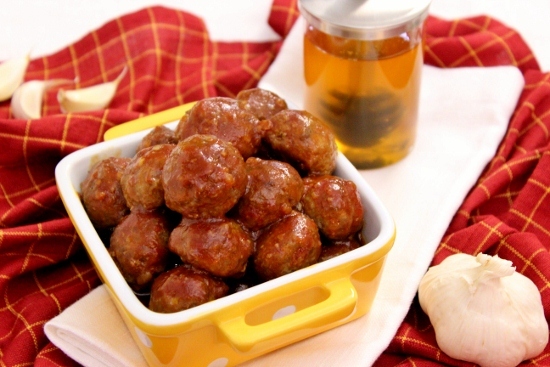 Another winning meatball recipe. The sweet garlicky glaze is finger licking good. This is another favorite. I’ve served it countless times on many different occasions, even several weddings, and I’m always asked for the recipe. You can also make the meatballs now and freeze them. I recommend making the sauce on Thanksgiving day. It only takes a few minutes to make, so it’s really easy and then all you have to do is toss in the meatballs and let it all reheat together. Make this in the morning and keep it warm in a slow cooker. 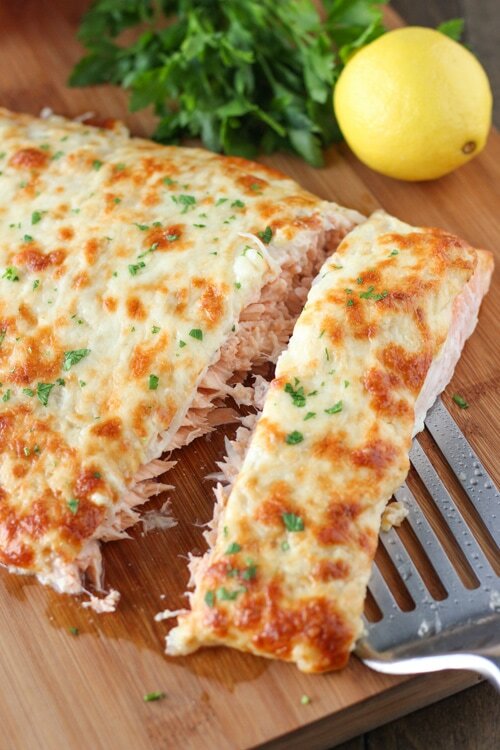 In case you have a family that loves fish and you have a double oven, this Cheesy Baked Salmon is a wonderful option. Maybe one of your guests who live nearby can make this in their oven and bring it straight to the party. We do our Thanksgivings as a potluck, so this is something to consider. It’s also very easy to prep and tastes so festive. 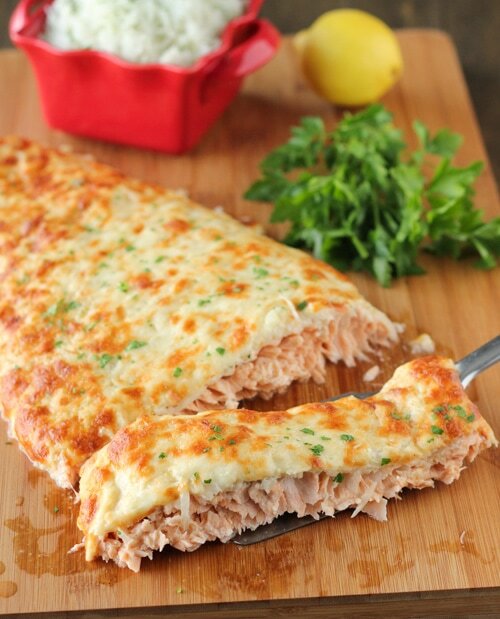 The cheesy crust takes it over the top and the fish is so flaky and juicy. You can prep it the night before (if you have extra room in your fridge), keep it refrigerated and then bake it before serving. If you have a smaller gathering and want to try something different instead of turkey, a Roasted Duck is really nice. I know some people don’t even like turkey. 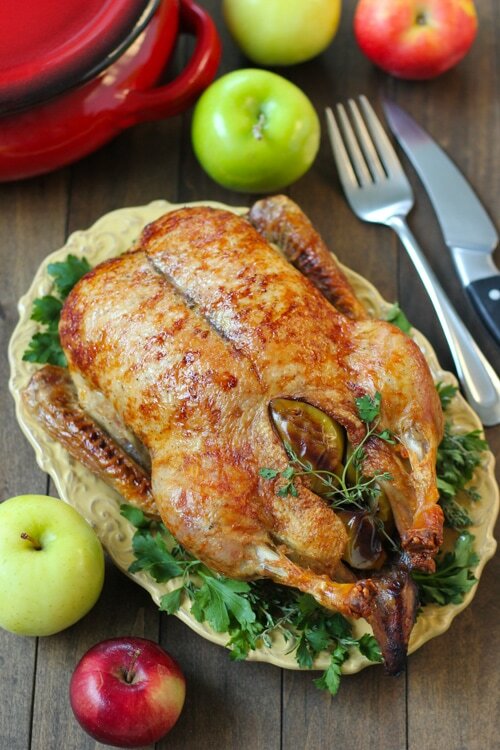 This recipe for Roasted Duck with Apples looks really elegant and tastes amazing too. It’s perfect for this time of year. Plov is another well-loved Slavic dish. 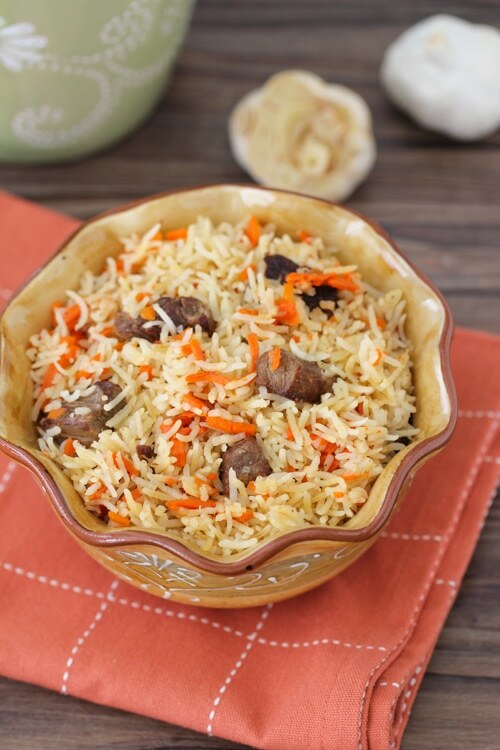 It has tender chunks of beef in the flavorful carrot, onion and garlic rice. You can also make this the day before and then reheat it on Thanksgiving. Instead of the beef, you can use chicken or pork also. Another awesome thing about Plov is that it freezes really well, so this is another one that you can make now, freeze and then reheat. 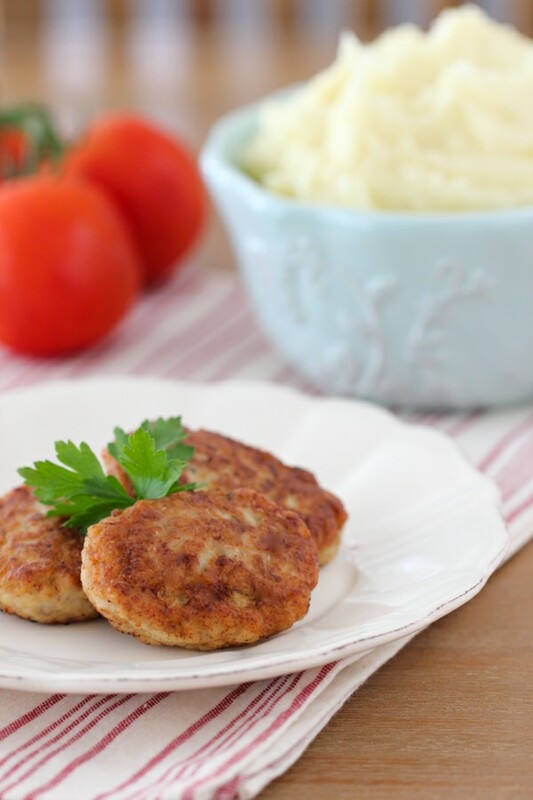 I have hundreds of other entree recipes on my blog, so you have many others you can choose from. My advice would be to choose only one other entree besides the turkey. Since you can make it in advance, you won’t be too overwhelmed on Thanksgiving day with cooking the entire meal while also preparing your home for guests. If you have any other questions, I would be happy to help. Don’t forget to check in because I’ll be sharing ideas for Side Dishes, Desserts as well as Vegetarian and Vegan Options. 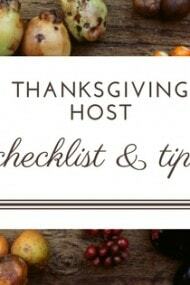 I’ll also be sharing more tips and troubleshooting advice for the meal itself as well as the hospitality portion of hosting a Thanksgiving meal in your home.